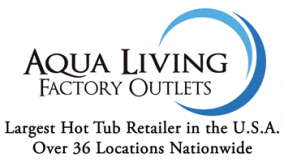 Improve the longevity and quality of your spa or hot tub experience with spa accessories available at Aqua Living Factory Outlets. We carry a wide selection of pillows to make your spa more comfortable, safe and sturdy spa steps to make it easier to get in and out of your hot tub, spa filters to remove contaminants and keep your spa water clean, chemicals to keep your hot tub water pure of bacteria and viruses, and hardware such as handrails and spa covers to improve the functionality of your hot tub. Save on the cost of spa wear and tear with easy to install and use spa accessories available at affordable prices from Aqua Living Factory Outlets. Feel confident buying from the largest hot tub retailer in the U.S.A. with over 36 convenient locations to pick up from across the country.